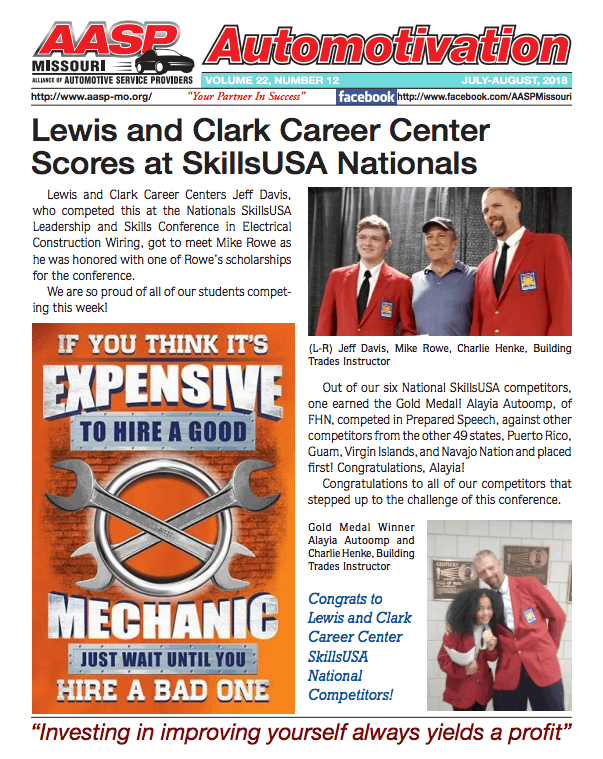 Lewis and Clark Career Centers Jeff Davis, who competed this at the Nationals SkillsUSA Leadership and Skills Conference in Electrical Construction Wiring, got to meet Mike Rowe as he was honored with one of Rowe’s scholarships for the conference. We are so proud of all of our students competing this week! Out of our six National SkillsUSA competitors, one earned the Gold Medal! Alayia Autoomp, of FHN, competed in Prepared Speech, against other competitors from the other 49 states, Puerto Rico, Guam, Virgin Islands and Navajo Nation and places first! Congratulations, Alayia! Congratulations to all of our competitors that stepped up to the challenge of this conference.